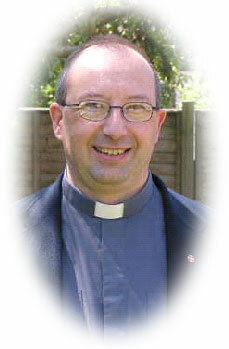 As many of you are no doubt aware by now I will shortly begin my first ever sabbatical as a Methodist Minister. It is a great privilege that Methodist Ministers are offered a sabbatical period of three months every seven years (the first taking place after the first 10 years of ministry). Our Standing Orders define a sabbatical as: “a period of release from the ordinary duties of the [Presbyteral] appointment, in addition to normal holidays, for the purpose of pursuing an approved programme of study, research, work or experience’. Sabbaticals are opportunities to ‘re-train, refresh and renew the very base from which future activity may spring’ . The term ‘sabbatical’ comes originally from the Old Testament and is related to the Sabbath, the weekly day of rest and delight in God (Exod 34:21; Isaiah 58:13-14), and the sabbatical year, in which, every seven years, complete rest was commanded for the land, with no sowing or reaping, and the remission of debts and release of Hebrew slaves (Lev 25:4; 1 Macc 6:49; Deut 15:1-12). By extension, in the nineteenth century, ‘sabbatical’ became used by universities to denote a period of study leave for their academic staff, originally every seven years. Later, other professions and occupations embraced the practice, as a means of vocational development and refreshment. The ‘benefits of sabbaticals for ministers, deacons and the church at large’ have been acknowledge and affirmed by the church, most recently in 2000 when the Conference made them a required part of the performance of the minister’s duties . But in surveys Ministers have affirmed the value of having time away from the general run of duties to take stock, to catch up on latest theological direction, to listen to God’s voice, to invest in family life and to improve physical and mental health. From my own point of view I am grateful for this time to spend some time with wider family and friends who I do not normally get to spend much time with. I also intend to spend some time in the fresh air and reflecting on God’s creation as I walk parts of the Cumbria Way, using Julie’s parents home in Keswick as a base. I also hope to improve my guitar skills and catch up on some theological reading. Mainly I hope to come back refreshed, with new energy and re-centred on my call to ministry. The prelude to my Sabbatical proper is our ‘holiday’ pilgrimage to India during Lent. We were excited to be invited to take part in a pilgrimage to explore Christian Witness in the Punjab. You can see an article about it in the World Church News Letter for February here: https://www.methodist.org.uk/media/10374/wcn-bulletin-february-2019.pdf (scroll down to page 7). During the trip we will visit New Delhi, Agra, Amritsar and Dalhousie. During my Sabbatical, pastoral care for the church will be in the safe hands of some of our Supernumerary Ministers who may be contacted via the Stewards. Many thanks to you all for allowing me this time and every Blessing for Lent and Easter.